Gift registries are very popular. They're a huge convenience for anyone planning a wedding, baby shower, anniversary party, or other event. Gift registries simplify things for their guests as well— it can be tough to pick out the perfect gift, and registries eliminate the need to guess what the event hosts want or need. Adding a gift registry to your online store can provide a boost to your sales, even if you sell products that aren't usually associated with weddings or similar events. Remember that while wedding and baby supply stores essentially need registries to be competitive, gift registries as a feature don't need to have those restrictions. They can be used for any type of event that is planned in advance, like graduation and starting college, family reunions, and holiday parties. And no matter what you sell, you may still find that your products appeal to couples building a wedding registry— everything from camping gear to electronics to board games frequently show up on wedding registries, and it's not all about expensive items, either. In fact, Business Insider reports that the most popular items added to wedding registries on Amazon.com are mostly under $50. The most important part of running a gift registry on your online store is to ensure it works perfectly. It needs to offer a consistently good shopping experience. Customers building a gift registry are often under a lot of stress, as they have a lot on their minds already, what with planning their event. You also need to be sure that your gift registry is implemented in such a way that it helps your sales rather than hinders them. Here are 6 common flaws to avoid in your online store's gift registry. A common customer complaint is that the gift registry they've created is hard to find again in order to edit or share with others. In a worst-case scenario, their carefully-built list disappears completely. If this happens, they're likely to turn away from your store for good. Make sure gift registries aren't prematurely deleted by a hiccup in your software, and give customers an easy way to get back to them later. A robust gift registry search feature will be a huge help, especially if it includes two separate fields to search for each wedding partner's name individually. The opposite of this problem is the gift registry that can't be deleted, even if the event has passed or was canceled. This is more than an annoyance for customers— in certain situations it can even be an embarrassment. Give your customers the power to edit or delete their gift registry at any time. This issue almost completely eliminates the convenience of a gift registry and sets it back to a simple list of suggestions. If an item isn't removed from the registry when purchased, other invited guests may end up buying the same item. This leads to annoyed recipients and embarrassed guests— and lots of returns to process. If the word gets out that your gift registry has this flaw, otherwise-interested customers will look elsewhere. As mentioned earlier, people creating gift registries are usually busy with event planning. They don't have the time or inclination to sort through troubleshooting guides or contact you for help. Your online store's interface needs to provide shoppers with a quick, simple way to create their registry and add and delete items. Your design needs to be clean, and your "add" and "remove" buttons need to be obvious. It's also crucial that your site is mobile-friendly, so your customers can shop from any device. It should go without saying that your software had better be stable— no customer wants to rely on something that only works 50% of the time. Technical difficulties can lead to almost every other problem on this list. Inventory fluctuates, and products end up backordered or temporarily out of stock. Some get discontinued. These are all normal parts of selling, online or offline. But if this information isn't displayed accurately, it becomes a source of confusion and disappointment. Provide an easy way for your customers to know exactly why an item isn't available and whether it will be available again, or if it's set to be replaced in your inventory by a similar item. If possible, include solid information like the date you expect to restock the item and the quantity you have on hand. Be clear with this information— don't show vague messages like "No longer available." Explain why, so the customer can make an informed decision whether to wait or find an alternative. On a related subject, you should be able to see your customers' gift registries. If certain products are popular enough to be at risk of selling out, keep a close eye on your inventory and send a courtesy email if stock runs low, or if you have information that a product is going to be discontinued or replaced on a certain date. This is a big one, and store owners have changed their entire eCommerce platform to avoid it. Some platforms implement a "universal" or "combined" gift registry that includes items from other stores, even if the registry was created on your site. This is basically free advertising for your competition and sends customers away from you to purchase elsewhere. Make sure gift registries on your site pull products only from your store, and not from others. Weddings and baby showers are still stuck in people's minds as "registry events." But like mentioned earlier, gift registries are useful for events of all kinds, and their usage for non-wedding or baby events is becoming more popular. Don't fall to the old way of thinking and assume your customers are only going to create a registry for those specific events. There are tons of other possibilities, and a customer interested in creating a gift registry for their housewarming party isn't going to be pleased if it has the word "wedding" or "baby" automatically on it. 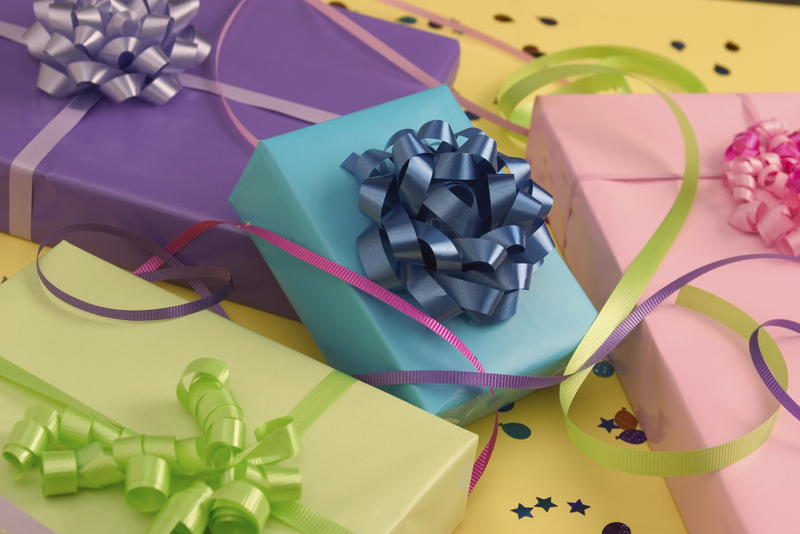 Provide customers with a gift registry option, but let them decide the event! If your gift registry suffers from issues like these, neither you nor your customers are deriving the full benefit. It's important to set up your online store using an eCommerce solution that won't give you unforeseen problems later. Your gift registry should work for you, not your competition, while remaining a hassle-free convenience for your customers. Keep on the lookout for great bonus features too, like allowing gift shoppers to purchase from the registry and have the item shipped directly to the recipient. This makes things even easier for everyone, so everyone is happy— and happy customers mean more sales! Just like a Gift Registry, there are many other Gift-Shopping features for online stores that can help you attract more visitors and increase conversions in your business.